The IRS has answered only 15.6 percent of customer service calls during the 2016 tax-filing season so far, according to testimony from the Treasury Inspector General for Tax Administration. As of Feb. 27, 2016, there were 40.5 million attempted calls on toll-free assistance lines to contact the IRS. Agents answered only 6.3 million calls, or 15.6 percent of the total. After the call was routed to the call center, customers waited on the phone for 9.6 minutes before they were able to speak with an agent. In the 2015 tax-filing season, there were 83.2 million attempts to reach the IRS and 8.3 million were answered, which means that only 10 percent of calls were answered. Customers waited average of 23.5 minutes before reaching an agent after being routed to the call center. The inspector general also found issues with other forms of taxpayer correspondence. The audit found that the inventory of unresolved correspondence with taxpayers, or cases where the IRS failed to respond to the taxpayer within 45 days had grown from 40 percent in fiscal year 2012 to 49 percent in fiscal year 2015. The IRS forecasts that the number of taxpayers who will be assisted by Taxpayer Assistance Centers, locations where taxpayers can receive face-to-face assistance, will decline from 5.6 million taxpayers in fiscal year 2015 to 5.2 million taxpayers in fiscal year 2016—a decline of 7 percent. Identify theft continues to be an issue, as the report found that the IRS took an average of 278 days to resolve tax accounts affected by fraud and the agency did not correctly resolve 17 percent of them. The agency is seeking more funding and is requesting appropriated resources of $12.3 billion for fiscal year 2017—an increase of slightly more than $1 billion from the previous fiscal year. 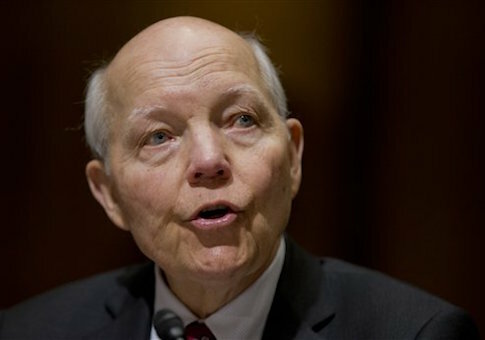 According to IRS Commissioner John Koskinen, the additional funding will go to improve customer service.